Fifteen years old…brutalised… dumped in a park… throat slashed…. Schoolgirl prostitute Michelle Lucas died in agony and terror, utterly alone. The sight breaks the heart of Sergeant Bev Morriss of West Midlands Police. She thought she was hardened, but gazing at Michelle’s pale, broken body she is consumed by a cold fury. She knows this case is different – this is the one that will push her to the edge. Plunging herself into the seedy heart of Birmingham’s vice-land she struggles to infiltrate the deadly jungle of hookers, evil pimps and violent johns. But no one will co-operate, no one will break the wall of silence. Is it fear or guilt? When a second victim dies, Bev knows time is running out. 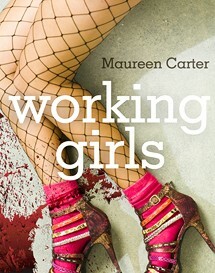 If she is to win the trust of the working girls - she has to take the biggest, most dangerous, gamble of her life … out on the streets.